Spectacular goldtone money clip with a genuine Buffalo Nickel minted 1913-1938. 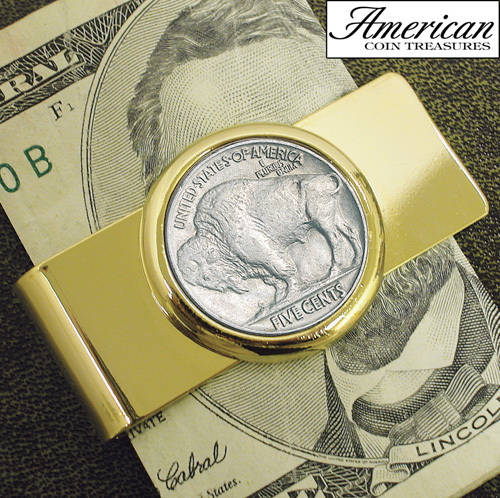 This money clip features the buffalo reverse of the nickel. Certificate of authenticity is included.